UNION, S.C. April 16, 2015: At the end of the 2014 season, Team Aruba took possession of a brand new T&E Hauler. The new rig allowed the race team to operate more effectively at the track, increasing the productivity of their time in the pits. Just in time for the IHRA Southern Nationals the rig has been transformed into a beautiful rolling billboard. One of the main objectives for Team Aruba is to promote their island paradise home. Their pit is always colorful and inviting with vacation literature available to fans. The Aruba.com Mustang is a beautiful picture of palm trees and clear ocean water. Now their hauler equally eye-catching, depicting an Aruban scene as it covers the thousands of miles to and from each IHRA event. “Our old trailers always had sticker wraps with tropical colors to match the island theme we try to promote,” relayed Team Aruba driver, Trevor Eman. “We recently made a new design for this new trailer and the end result is simply stunning. The reason we wrap the trailer, and why it is so important for us to do, is because when we do this and travel on the roads, we are traveling with the ‘world’s largest mobile billboard promoting Aruba’. This week, Team Aruba is traveling from their Union, South Carolina shop to Bradenton, Florida in their striking rolling billboard. As Pro Stock continues to regain familiarity and popularity with their IHRA home, Eman is looking for his first IHRA win. As always, the driver will wear multiple hats, promoting the One Happy Island throughout the weekend as well. 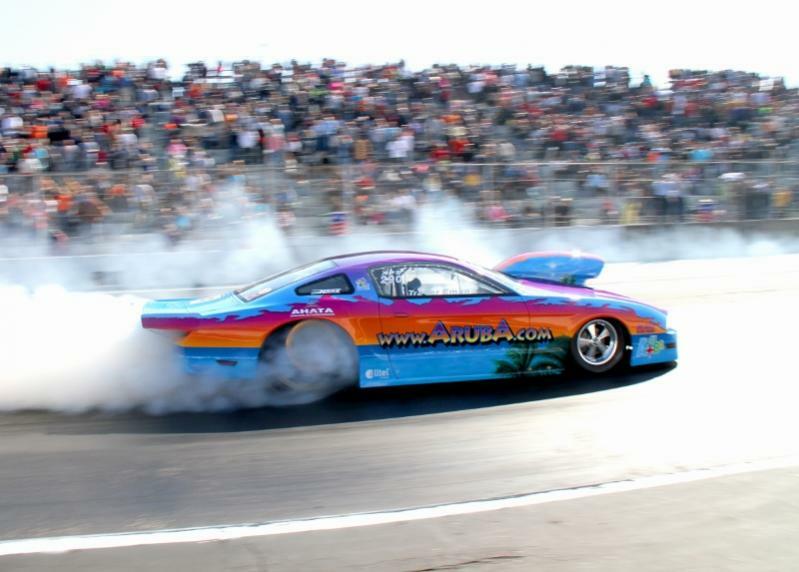 Watch Team Aruba live via the Webcast on IHRA.com. Follow Team Aruba on Facebook and Twitter. Find race results, team updates, videos and photos. Also leave your comments to cheer on Team Aruba! For more on your Aruba vacation visit www.Aruba.com and www.Destination-Magazines.com.